Shirts With Random Triangles: Nike unleashes updated Georgia uniforms, new secondary logo. Nike unleashes updated Georgia uniforms, new secondary logo. Be afraid, Bulldog Nation. Uncle Phil's Misguided Children at Nike have unleashed an updated uniform for Georgia. Nothing earth-shaking like the things Nike comes up with for Oregon, or as nauseating as those Chick-fil-A Kickoff Game unis. It's just a new font for the jersey numbers. Oh, there's also a new "secondary" Bulldog logo as well. 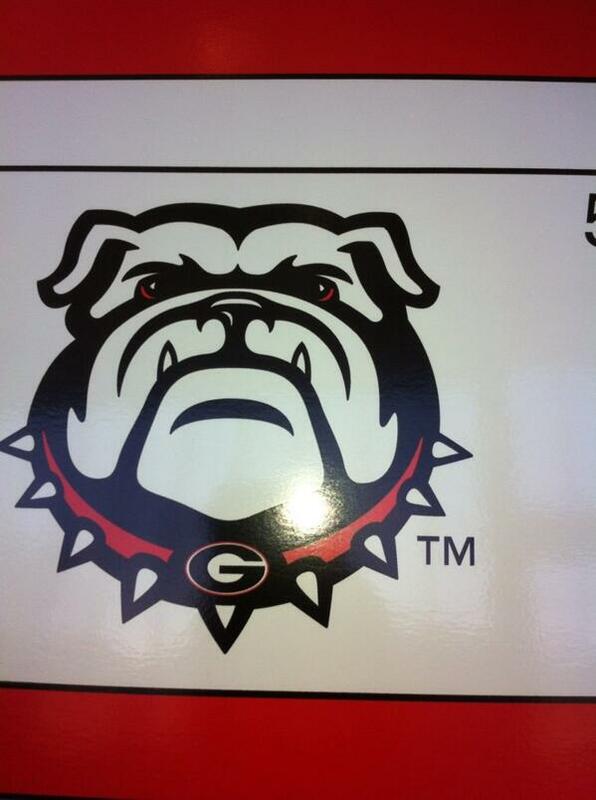 The new logo looks a little more menacing than the most notable alternate UGA logo, dating from around the 1990's. It'll probably take a while before we can see if it catches on.